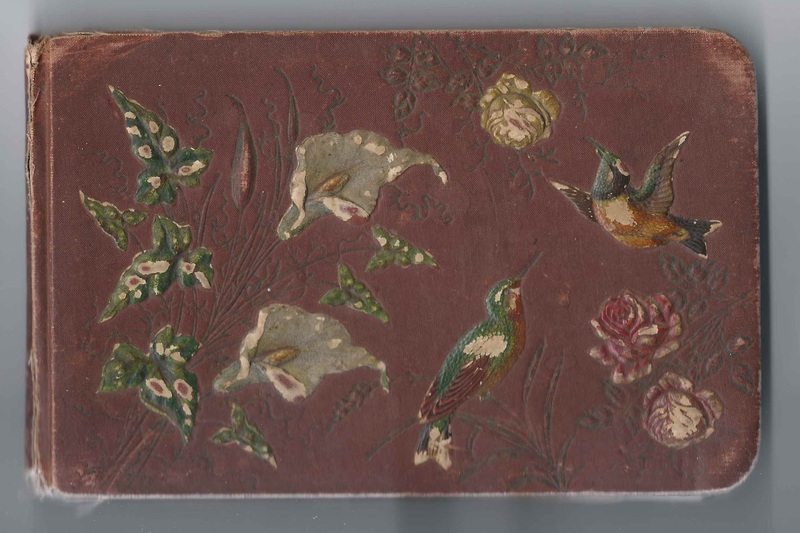 1880s autograph album that contains pages signed by people from the Leominster, Massachusetts, area. It may have belonged to Emily A. Burgess, who was the first signer in the album, with another page in the album inscribed to an Emily. 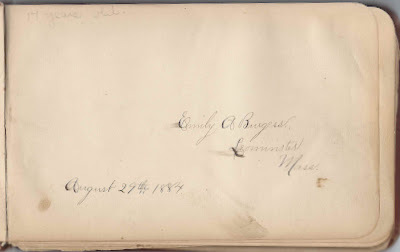 The Emily A. Burgess of Leominster, Massachusetts, who signed her page on August 29, 1884, was 17 years old at the time, according to a note in the upper left corner. 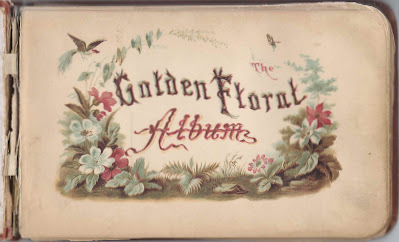 Katie E. Rugg of Leominster was the only person in the album to name the album's owner, at least by her first name. 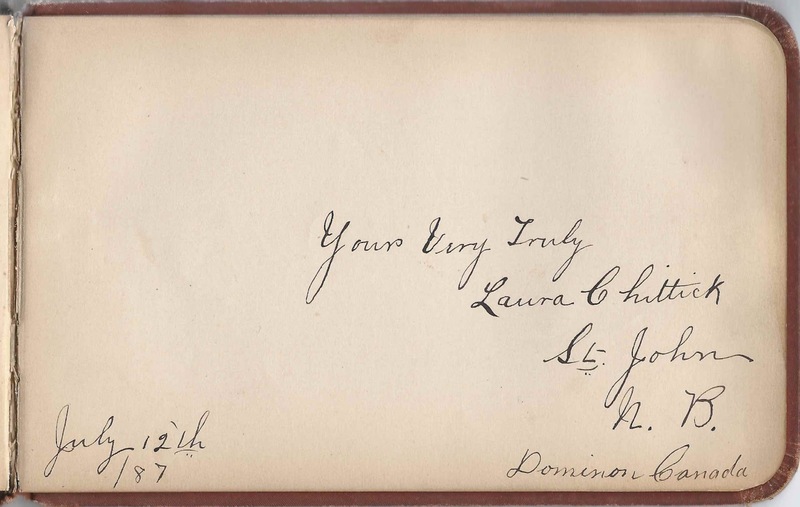 Katie signed her page on March 4, 1885. The album is approximately 7-3/4" x 5" and contains the sentiments of 46 people and several illustrations interspersed throughout. An alphabetical list of the signers appears at the end of this post. Emily A. Burgess was born 29 August 1866 at Leominster, Massachusetts, the daughter of Waldo J. and Emma P. (Raymore) Burgess. On 22 June 1891 at Leominster, Massachusetts, Emily married Frederick Elmer Walden, son of George Hixon Walden and Mary Ann (McLaughlin) Walden. 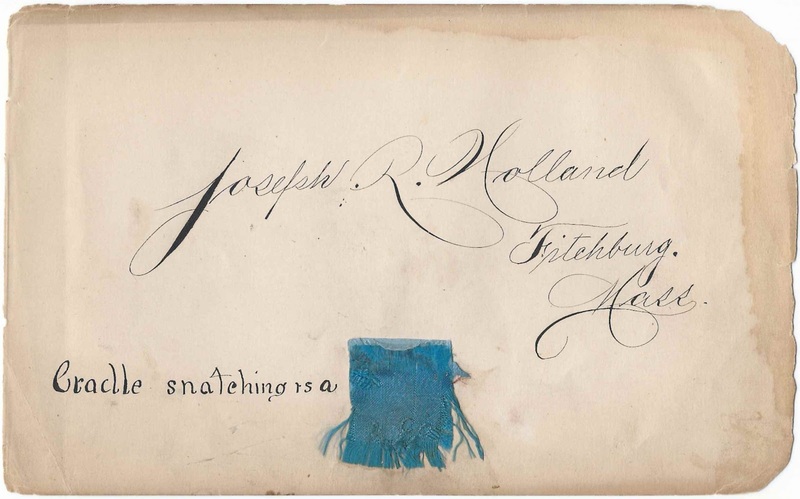 Joseph R. Holland of Fitchburg, Massachusetts, attached a piece of cloth to the page he signed. 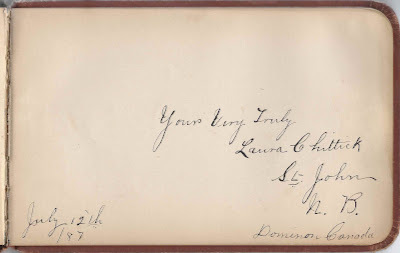 Laura Chittick of Saint John, New Brunswick, Canada, signed a page on July 12, 1887. 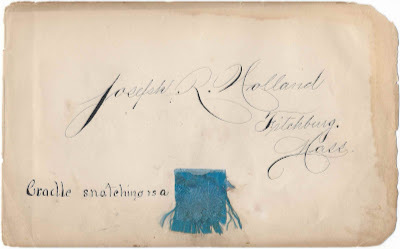 Mabel Atwood of Leominster, Massachusetts, signed on January 9, 1888; W.S.S. 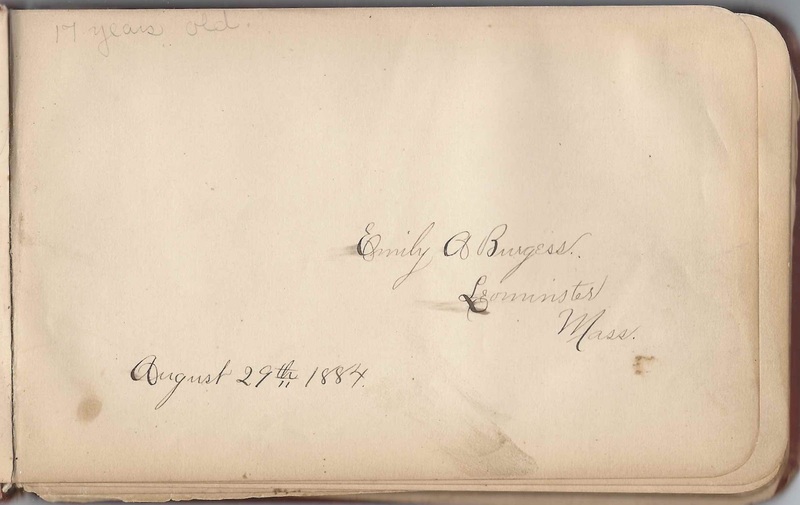 Emily A. Burgess of Leominster, Massachusetts, signed on August 29, 1884; "17 years old". 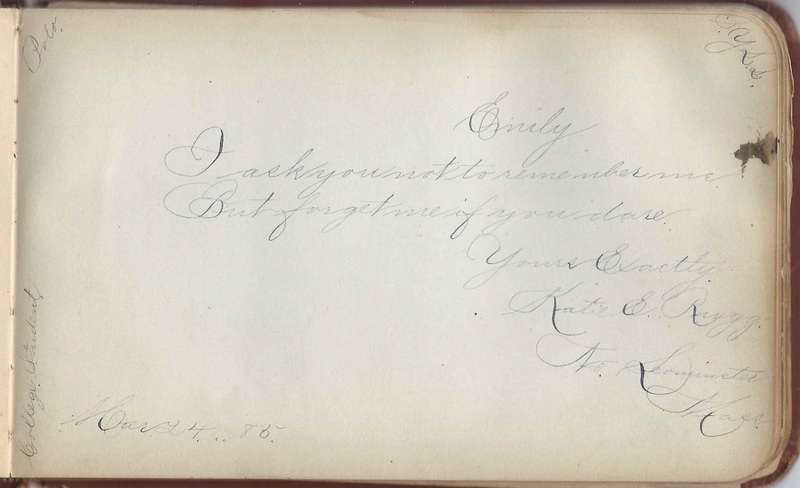 She was perhaps the album owner, as she was the first to sign in the album, and another page is inscribed to "Emily". 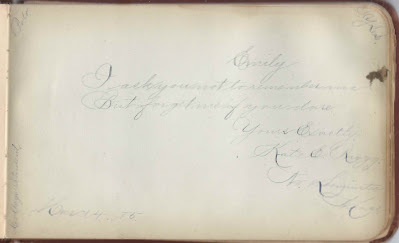 Frank A. Morgan of Fitchburg, Massachusetts, signed on July 19, 1886 or 1888 or ?